Islamabad: According to the latest PTA numbers, Zong 4G, Pakistan’s No.1 4G network remains at the forefront of Pakistan’s 4G revolution. 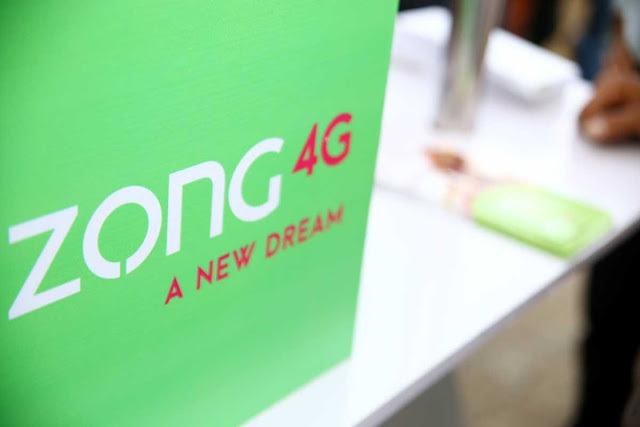 Powered by the largest and fastest growing 4G network in the country, Zong 4G continues to balance affordability with seamless connectivity, as it continues to expand its 4G data coverage to all corners of Pakistan. Despite stiff competition, Zong 4G’s focus on providing unmatched data speeds has led the company to secure over 75% of the 4G market. This represents a five-fold increase in its 4G subscriber base over the previous year, as the company remains committed to re-shaping market trends, and securing its advantage as the longest running 4G network in the country. Building on this increase, Zong 4G is also significantly ramping up its customer care operations keeping in sight its goal of delivering unrivaled customer care at both pre-sale and after-sale levels. With plans to scale up its network to 10,500 4G sites by the end of the year, Zong 4G is well poised to unleash its vision of a ‘New Dream’ for a Digital Pakistan.